Common Opponents: The Sting have lost to the Utah Stealth (35-19) and beaten the Utah Shock (20-14) and the Rocky Mountain Mudd Ducks (13-6). The Rebels have beaten the Utah Stealth (43-39), the Utah Shock (37-31) and the Rocky Mountain Mudd Ducks (42-26). How they got here: The Sting secured the second seed and first-round bye by finishing atop the Utah North Division, going 7-1. 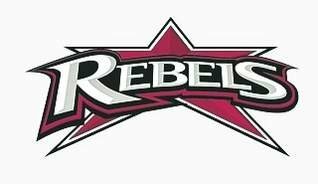 The Rebels finished second in the Utah South Division with a 7-1 record, securing the fifth seed. They beat the Idaho Division-champion Arco Anarchy last week, 23-6, to advance to the semifinals. Last Game: Beat the Anarchy 23-6 in Idaho. Players to watch: RMFL leading rusher Misi Tupe will quarterback the Rebels. Sione Tapuosi and Rimo Mapu continue to supplement Tupe with the league’s most dangerous rushing attack. Tupe’s favorite receiving target, Brennan Adams, has benefited from teams loading the box, leaving him with one-on-one coverage. On defense, safety Brandon Thompson leads the team in tackles. He is followed by linebackers Kaleo Teriipaia and Andrew Misa. Defensive linemen Wayne Alofipo and Jordan Main join linebacker Doug Roberts to lead the team in tackles for loss. Thompson and safety Shawn Mitchell lead the team in interceptions. Trend: The Rebels traveled light last week, leaving most of their beefy offensive linemen at home. This week they plan to have everyone travel. Costly turnovers kept last week’s win over Arco from being a blowout. Tupe had to pass more than he wanted. With the big boys out front, it is likely Stott will have them running again. Players to watch: Offensively, Sting quarterback Brad Thurber is a dual threat with 873 yards passing and 208 yards rushing. Jesse Balls leads the team in rushing for the second straight year, averaging about four yards a carry. The leading receivers are James Owens and Justin Dominguez. The Sting are led defensively by linebacker Mike Messinger with 35 tackles, 12 for loss. Defensive lineman Adam Pixton leads the team in sacks. Cornerback Wes Rees leads the team in deflections (16) and interceptions (3). Trend: Offensively, the Sting is very balanced with an almost 50/50 split on passing/rushing yardage. Where they excel is defense, holding teams to just over 10 points per game, giving up 12 last week in a blowout win over Logan. They are very quick defensively and swarm to the ball. They have not faced Dixie this season, but expect them to load the box as most teams do to try and stop the three-headed Polynesian monster rushing attack of Tupe, Mapu and Tapuosi. Game outlook: And then there were four. While everyone expected the Stealth, Revolution and Rebels to make it this far, few expected the Sting to be here. A favorable schedule against lower-echelon teams got them seven wins and the division championship. Against the remaining teams the Sting is 0-1. The Rebels and Rev are each 2-1 while the Stealth, who are hitting their annual late-season surge are 1-2. The games are shaping up to be a rematch of last year’s championship game when the Stealth eked out a victory over the Rebels in St. George. While the Sting is not in the same discussion as the other three teams, this game will not be a blowout. The Rebels will win by two touchdowns.